Lakeside provides Quality Services & Products for our Valued Customers. 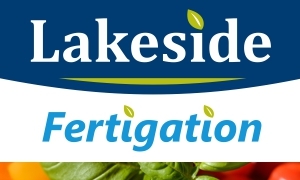 Lakeside is a joint venture partner with The Agronomy Company of Canada and is a leading supplier of crop protection products, crop nutrients and seeds to cash crop and livestock producers. Lakeside is a distributor for Syngenta Seeds, DeKalb Seeds and Croplan Seeds. 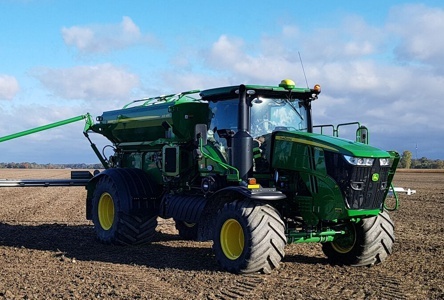 Lakeside purchases grains and oilseeds from producers in Lambton and surrounding counties on behalf of London Agricultural Commodities. Lakeside supplies soybean meal and distributes feeds for New Life Brand Feeds as well as Buckeye and Purina Equine feeds. Lakeside is the exclusive Lambton County distributor for N-Viro Soil soil amendment. Lakeside operates retail branches in Forest, Petrolia, Melbourne and Wardsville Ontario. Click the logo below for Precision Agriculture Compliance Excellence. Ian Shipley, General Manager of Lakeside Grain & Feed, announces the opening of a new branch location for Lakeside Grain & Feed Limited on November 20th. Lakeside Grain & Feed Limited is no stranger to the agricultural retail business. With branch locations in Forest, Petrolia and Melbourne, Lakeside is proud to serve customers in Lambton, Middlesex and Kent counties for all their seed, fertilizer and crop protection needs. The Strathroy Location is now merged with the new Melbourne location. Being part of the Agronomy Company of Canada, Lakeside was given the opportunity to purchase a Cargill location in Melbourne as a part of the sale of Cargill's crop input and grain handling facilities to La Coop Federe (LCF). As of November 20th, 2018 Lakeside Grain & Feed will be moving into its new added home at 22637 Melbourne Road, Melbourne, ON. "We (the team at Lakeside) are very excited for this new opportunity. Having a larger facility will help Lakeside to better serve its customers in Middlesex and surrounding counties" says Shipley. New from Agromart: NK21 is a new, homogeneous 21-0-21 potassium and nitrate based fertilizer product that ensures nutrient availability during cooler soil conditions. Visit www.lakesidegrain.com/precisionag/ for details on sales and service for Forest, Petrolia, Melbourne and Wardsville. Lakeside Grain & Feed Limited - Precision Agriculture Compliance Excellence. Copyright 2018 by Lakeside Grain & Feed Limited. All Rights Reserved.